Twelve people are facing 120 drug and weapons charges after a “substantial” bust – in which loaded guns were seized – by the major drugs and vice unit following a four-month investigation. The suspects were arrested after Peel police uncovered a large scale prescription drug fraud scheme last May, primarily involving the illegal distribution of Fentanyl, Oxycodone and Oxycocet pills. The estimated street value of drugs seized is $213,697. Arrest warrants have been issued for two people. Twelve suspects are from Mississauga, and two live in Milton. The arrests were not made at the same time, said Peel Regional Police Const. Thomas Ruttan, noting the investigation is ongoing. Links were drawn between fake prescriptions and several suspects believed to be trafficking pills and patches. The suspects used personal information from friends and associates to score the fake prescriptions police said, which were then faxed to pharmacies and lawfully dispensed. The suspects took steps to avoid detection by pharmacists, said cops, and masterminds recruited “their close associates” to pick up the drugs from the pharmacies based on pre-arranged schedules. A series of search warrants were executed in Mississauga. Seized items include: One assault rifle; one loaded semi-automatic handgun; one loaded revolver; 318 Fentanyl patches; 699 grams of cocaine; 1,285 Oxycodone pills; 4,683 Oxycocet pills; 297 schedule ll prescription pills; 304 grams of hashish; 1,157 grams of marijuana; and $27,481.50 cash, Canadian. 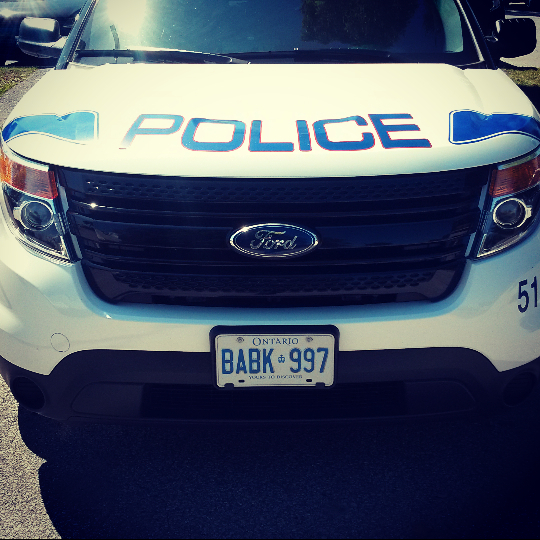 The suspects are facing 120 combined offences, including trafficking, possession for the purpose of trafficking, fraud, possession of property obtained by crime, and firearms offences. Anyone with information relating to this case, or who has knowledge of the illicit sale of drugs or prescription medications, particularly Fentanyl patches, is asked to call investigators at (905) 453-2121, ext. 3515 or Crime Stoppers at 1-800-222-TIPS (8477).